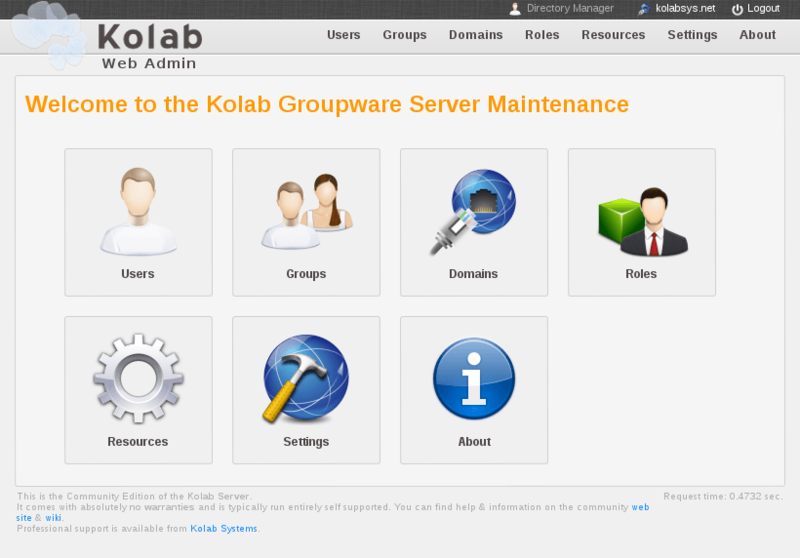 A few weeks ago, the OpenSource Groupware Kolab 3 has been released. 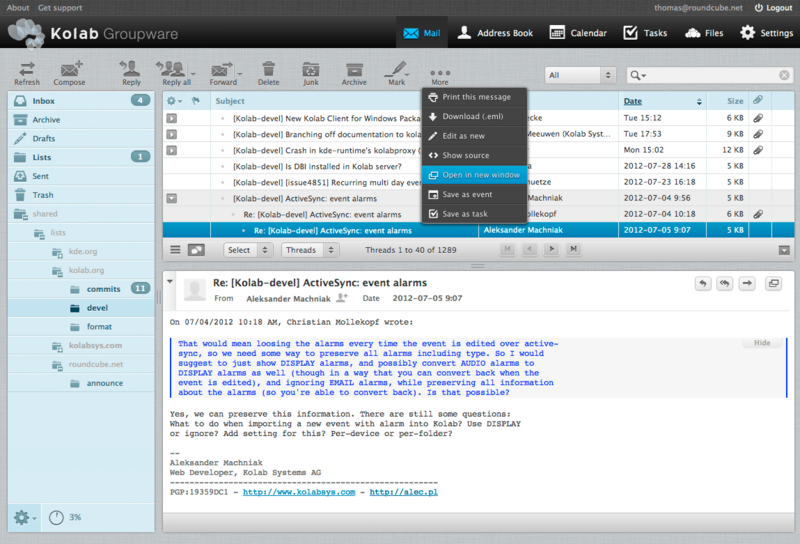 It features a brand new Webmail client based on Roundcube (which is really very nice), a completely new web based administration panel (called WAP - Web Administration Panel), integrated ActiveSync with Syncroton and an updated storage format. of OpenPKG with distribution specific packages. This makes it much easier to deploy and update. The people behind Kolab are working with Redhat, so the original packages are RPM based. But thanks to the great community, Debian packages for Wheezy are also already available. The official installation documentation covers Debian Wheezy already, but I'd like to provide my experience and a short installation How-To. This helps to have a quick installed up-and-running Kolab 3 installation running on Debian Wheezy. Check the installation, run kolab list-mailboxes it should exit without an error. That's it, the Kolab server is now up-and-running. Just change the MX record pointing to this server and Kolab will be happy to receive mails.